In 2003 India, Brazil and South Africa formed IBSA, a political bloc of "emerging powers" dedicated to the transformation of the global order. It seemed like an unlikely club to embark upon such an ambitious enterprise. India was once considered the epitome of an underdeveloped country with endemic poverty, a sagging bureaucracy and crippling corruption. Today India's 1.2 billion people make up the world's largest democracy and despite the Global Financial Crisis, India's economic growth rate in 2011 was still 7%. The number of Indians living in poverty has halved over the last two decades. India has become a hub of innovation and is also a nuclear power. In 1990 Brazil was still a fragile democracy with a feeble economy and an inflation rate of several thousand percent. In 2011 it overtook the United Kingdom to become the sixth largest economy in the world. Brazil is now the undisputed powerhouse of Latin America and is hosting the next FIFA World Cup as well as the Olympics. South Africa was once a pariah state that deprived the majority of its people basic civil rights, dominated its region economically and threatened it militarily. Although its growth has been less impressive than Brazil's or India's, it is still an African economic colossus. South Africa's celebrated transition to democracy and its attempt to build a progressive society that respects and reflects its unique history continues to draw admirers from across the globe. It has become axiomatic that the emergence of India, Brazil and South Africa as global powers will usher in a new era at the United Nations. For example, in a speech last September Antonio Patriota, Brazil's charismatic Minister of External Relations, contemplated the relationship between human rights and diplomacy. "The struggle against apartheid," he argued, "provides an eloquent example of joint action on the part of the developing world against practices that go against human dignity." According to Patriota, when the issue of apartheid was taken before the UN, "objections to the application of sanctions against the minority regime in South Africa" were raised by Western countries that were permanent members of the Security Council. Patriota had history on his side. For decades the United States, United Kingdom and France had taken a cynical tilt at the question of apartheid. When the UN Security Council voted on a 1970 draft resolution calling for an arms embargo against apartheid, the US, UK and France abstained. When economic sanctions directed at white South Africa came before the Security Council in 1988, the UK and US vetoed the draft resolution. Because white South Africa was virulently anti-communist, Cold War alliances were placed above moral imperatives. Apartheid was viewed as an aberration, rather than an abomination. By contrast, India was the first country to formally raise the issue of Apartheid at the UN, putting it on the world body's agenda in 1946. Brazil hosted the first major UN seminar on apartheid in 1966, an event that fed into an initiative in the General Assembly to diplomatically isolate the apartheid regime. This is a history that India and Brazil have every right to be proud of. In 2000 the government of a now democratic South Africa initiated a review of its own foreign policy since the end of apartheid. The resulting report proudly noted President Nelson Mandela's 1994 comment that "human rights will be the light that guides our foreign policy," while acknowledging that there were difficulties in "pursuing both a moral and pragmatic foreign policy." Five years later, at the largest gathering of heads of state and government ever assembled, the UN World Summit adopted the concept of the Responsibility to Protect (R2P). Embracing the notion of "sovereignty as responsibility," R2P promises nothing less than an end to impunity, injustice and inaction with regard to mass atrocity crimes -- genocide, ethnic cleansing, war crimes, crimes against humanity. It is an issue that goes to the core of the UN's purpose and which India, Brazil and South Africa should all have naturally gravitated towards. Due to one of those remarkable coincidences that history occasionally throws our way, last year all three IBSA countries were on the UN Security Council as the crises in Syria and Libya erupted. India, Brazil and South Africa all voted for resolution 1970 which framed the developing crisis in Libya in terms of R2P, imposed sanctions and referred the Qaddafi regime to the International Criminal Court for killing its own people. When Qaddafi failed to comply with resolution 1970, South Africa voted for resolution 1973 authorizing military intervention to stop mass atrocities in Libya. Although Brazil and India abstained, they made statements recognizing the need for drastic international action. Within days South Africa displayed significant signs of buyer's remorse, distancing itself from the resulting NATO-led airstrikes. Brazil and India also became increasingly critical. As the intervention lengthened there was a growing view at the UN that NATO was no longer acting as a defensive shield for populations at risk, but as the Libyan rebels' airforce. India's Ambassador to the UN, Hardeep Singh Puri, started disparagingly referring to NATO as the "armed wing" of the Security Council precisely because he believed the objective in Libya had casually shifted from protecting civilians in Benghazi to overthrowing the regime in Tripoli. With a strained atmosphere at UN headquarters in New York, in August 2011 IBSA sent a high-level delegation to Damascus to plead with President al-Assad to stop the killing. It was a perilous, if well intentioned, venture. Despite IBSA's counsel, Syria descended into wider and more desperate levels of violent repression. If the accusation against NATO was that it had used R2P as camouflage for regime change in Libya, some within IBSA now veered dangerously close to using Libya as an excuse for defending the indefensible in Syria. Two months later India, Brazil and South Africa all abstained from a 4 October Security Council resolution aimed at curtailing the Syrian government's killing. Brazil explained its abstention as a protest against the posturing and division amongst the five permanent Security Council members. Meanwhile, the justification from South Africa's Ambassador to the UN, Baso Sangqu, was that with regard to Syria the "trajectory, the templates for the solution were very clear, it was along similar lines to Libya." Or in other words, IBSA was not condoning Assad's crimes, but avoiding a slippery slope to military intervention. The argument would have been more convincing if any UN member state was actually calling for military intervention, but none was. Such a view became less sustainable the deeper Syria descended into bloodshed and the more the coercive elements in the proposed resolution were amended, diluted and diminished. The media became increasingly critical. On 9 November, for example, BBC correspondent Barbara Plett wrote that despite "a declared commitment to championing human rights," the IBSA countries had "mostly lined up with Russia and China in key debates over Libya and Syria, strengthening dismay about the Security Council's inability to respond." Her conclusion was that, "IBSA's approach has in practice meant supporting a repressive regime rather than those calling for democratic change. It has meant not a new voice on the Security Council speaking on their behalf, but the absence of one." In the aftermath of the failed diplomatic mission to Damascus, Brazilian scholar Matias Spektor had written in the New York Times that, "Growing up in South America in the 1970s, when state officials captured, tortured, exiled or killed our compatriots, I'm not comfortable with shows of tolerance toward the Assads and Qaddafis of this world." In a situation where crimes against humanity were being perpetrated in Syria, and where the Security Council was divided between a majority who wanted a vigorous response in keeping with R2P and a veto-wielding minority (China and Russia) who did not, the IBSA countries appeared to be abstaining, both literally and figuratively, from the process of finding a solution. Brazil, however, eventually tried to bridge the diplomatic divide at the UN by publishing a short paper on the "Responsibility while Protecting" (RWP) in November 2011. The essence of RWP was that military force must be a last resort, that any response must be proportional to the threat posed and that no R2P intervention should cause more harm than it seeks to prevent. RWP was not an innovation but a critical clarification with regard to the future application of R2P. It reemphasized R2P's preventive core and resuscitated meaningful dialogue at the UN. Whereas former President (Lula) da Silva had been sceptical about R2P, President Rousseff and Foreign Minister Patriota see it as an issue where Brazil can exercise political and moral influence on a major diplomatic debate. The crucial contribution of Brazil to the UN peacekeeping mission in Haiti may have also enabled fresh perspectives to emerge regarding the practical challenges of international leadership. When a second, weaker, Syria resolution was put to the Security Council on 4 February 2012, Russia and China vetoed it again. Although the veto was to have tragic consequences for ordinary Syrians, there were no abstentions and among the thirteen Security Council members who voted for the resolution were India and South Africa. (Brazil had rotated off the Council at the end of 2011). After the 13-2 vote, the "Libya hangover" was declared over by several journalists. Russia's veto was widely perceived as not being about R2P, but as being motivated by arms, allies and power. By early 2012, therefore, despite lingering concerns, the emerging consensus (enabled largely by Brazil) was that R2P's advocates needed to develop better preventive, mediated and coercive tools to operationalize R2P in the future. But what does this portend for both R2P and the future of IBSA with regard to the United Nations? The IBSA perspective on global issues is still often shaped by a reflexive desire to challenge the international powers-that-be. But in an increasingly multipolar world the IBSA group are not spectators or spoilers -- they are powers-that-be. India, Brazil and South Africa are not emerging powers. They have arrived. All three IBSA countries want to demonstrate their capacity to serve as permanent members of a reformed and expanded UN Security Council. But their track record on R2P so far has been uneven. While Brazil has engaged in an impressive way with its "RWP" initiative, South Africa and India seem caught between their moral impulses, their complicated histories and the uncomfortable implications of the BRICS alliance with China and Russia. It is still not completely clear what kind of world IBSA want and how they are going to help remake it. As a young woman President Rousseff was tortured for resisting Brazil's military dictatorship. President Zuma is also a former political prisoner who eventually fled South Africa for exile. Prime Minister Singh was born in what is now Pakistan and emigrated to India following the subcontinent's bitter and bloody partition. All three leaders have direct experience of the personal tragedies and historical wounds that result from the construction of democratic governments upon the unstable ruins of dictatorship and repression. So what will those who come after Assad say about IBSA and the way it responded when the Arab Spring turned cold and murderous in Syria? They may well quote Nelson Mandela: "to be free is not merely to cast off one's chains, but to live in a way that respects and enhances the freedom of others." Those at risk of future mass atrocities need India, Brazil and South Africa to become R2P's champions and not sit on the sidelines of history. Indeed, their lives may well depend upon it. 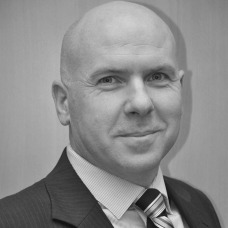 Simon Adams is executive director of the Global Centre for the Responsibility to Protect in New York. Follow on Twitter @SimonAdamsR2P. This article originally appeared on the blog of Article 3 Advisors, an organization working at the nexus between human rights and strategic philanthropy.